We are not huge fans of Windows operating system, but sometimes we need to use it. Sometimes it's required for .NET applications. 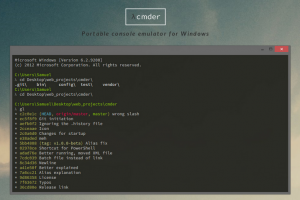 Today we'll share some tips to make Windows command line a lot better.